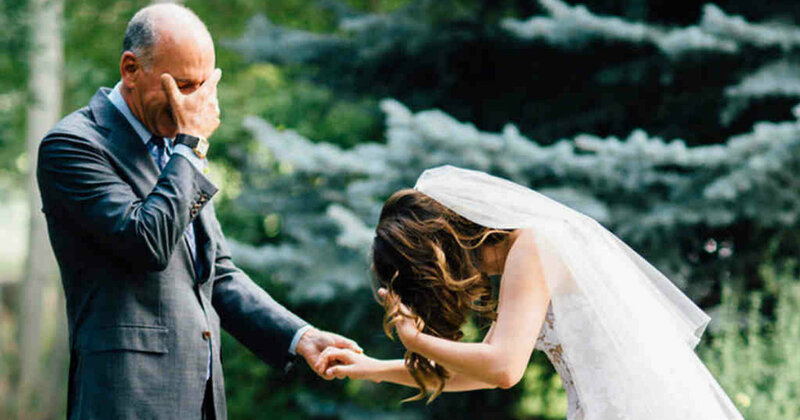 One of the most emotional moments is when a dad experiences a milestone moment with his daughter. 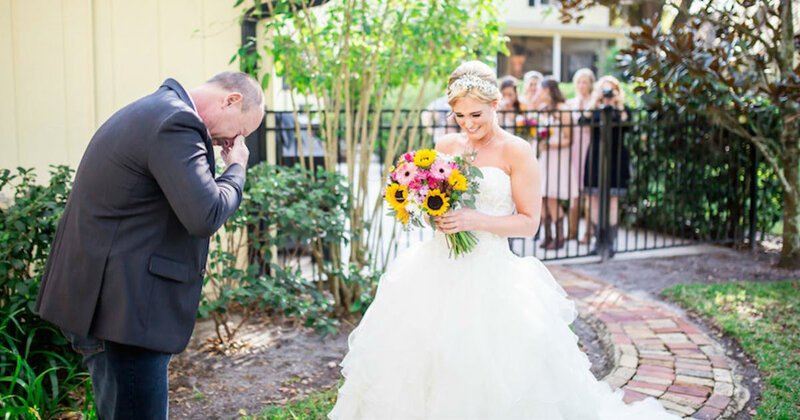 Whether it be when he sees her for the first time at birth, or for the first time as a bride on her wedding day, these bonding moments are infused with emotion. It is a given that the relationship between a father and his daughter is like no other relationship on earth. 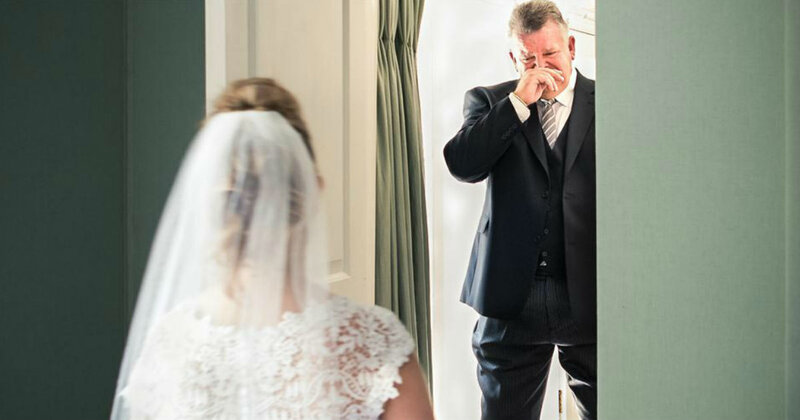 Grab some tissues and take a look at how these loving dads broke down when they saw their daughters. 14. 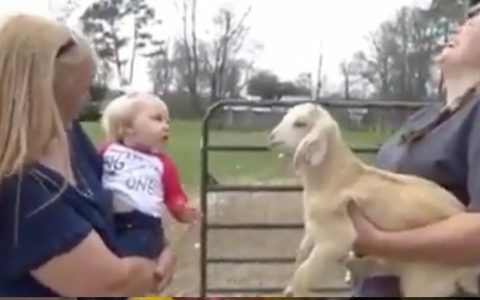 He was not expecting to be so emotional! 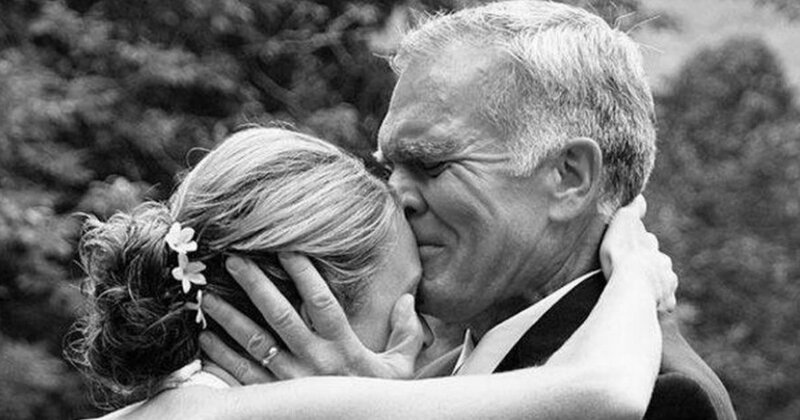 The bride was so overwhelmed by her dad’s reaction. 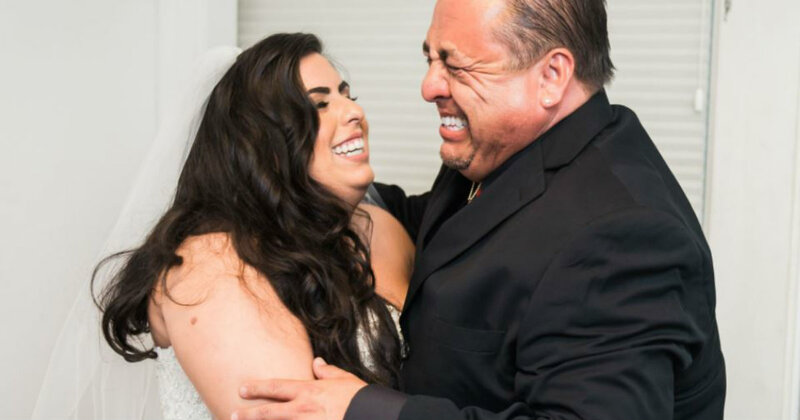 He completely lost it when he saw her as a bride for the first time. 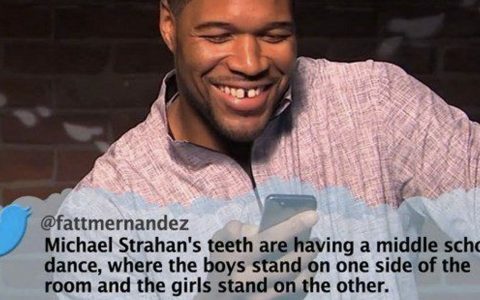 The both of them could barely keep it together! 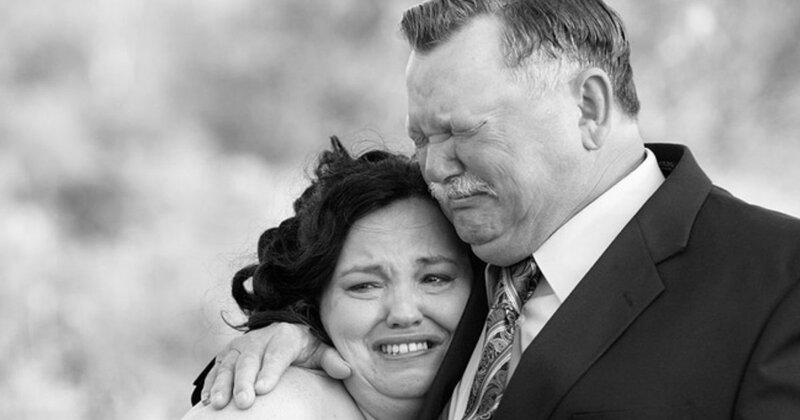 “She did not expect him to cry. 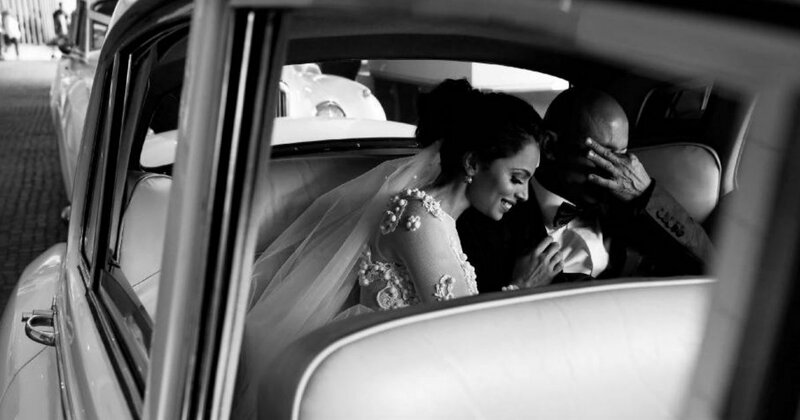 I don’t think he expected to either but… It was just one of the sweetest moments of the day”. – Cat Mayer says. 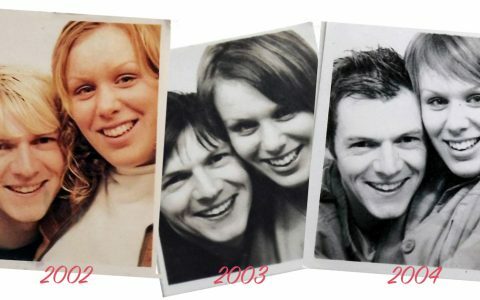 Taking a moment to reminisce on the journey the two of them shared this far. Nothing is more beautiful than love. Can you imagine the thoughts that are going through his mind? His expression says it all! 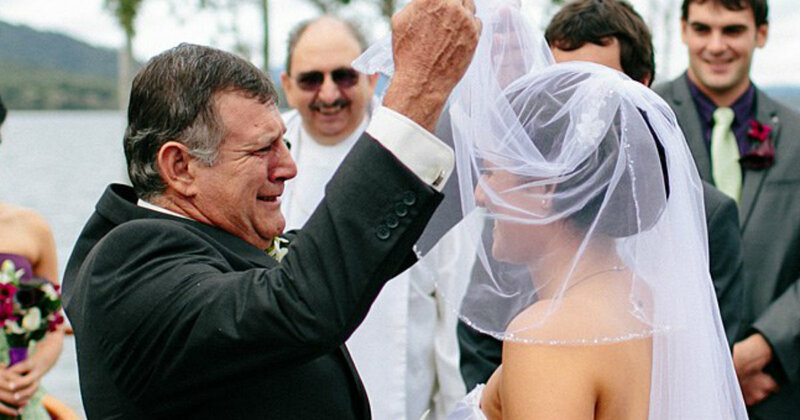 He looks completely stunned and proud to present his daughter on her big day. Knowing that they want their Baby Girl to be protected and loved forever, Dads have the hardest time letting go. 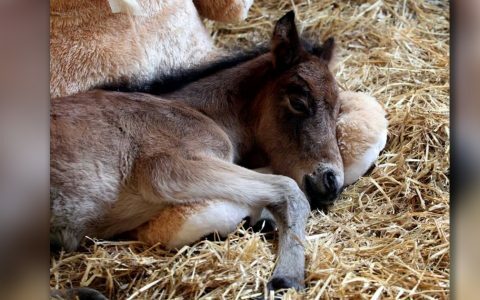 Being able to make room for someone else to take care of your precious little one (because they are always “baby”) is so hard! 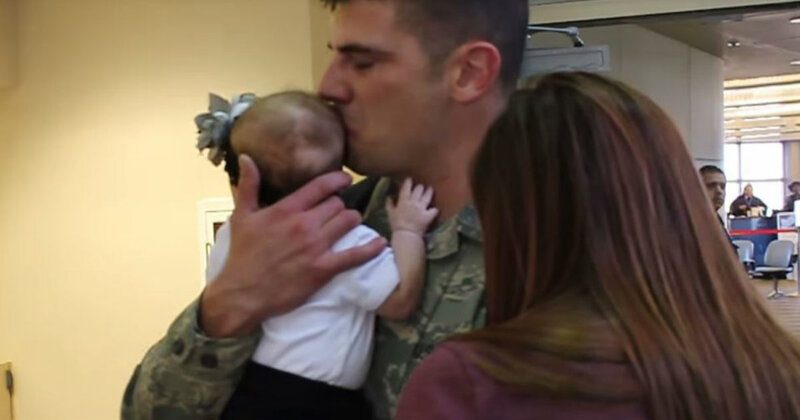 This soldier finally got to meet his two-month old baby girl after being away in Afghanistan. What a sweet welcome home! He is just bursting with so many emotions! 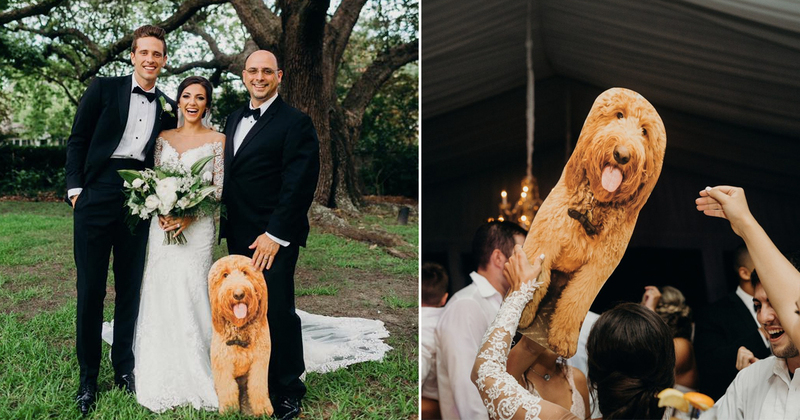 She has been waiting for her wedding day for so long, but he looks like he was not quite ready to let go. Reality has hit this dad like a ton of bricks! 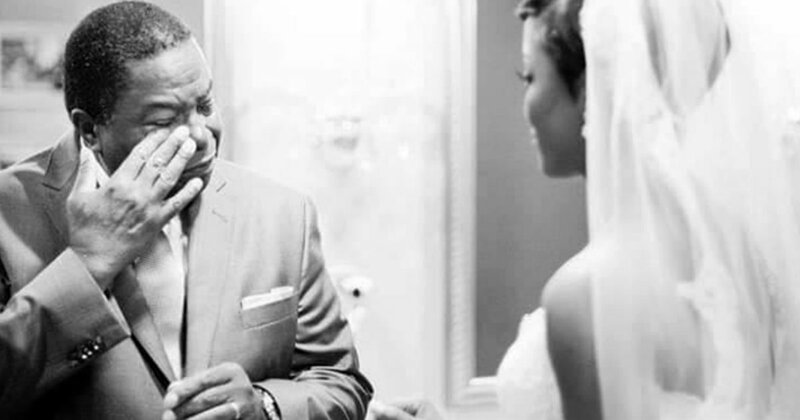 This is the very moment before he gives away his daughter in marriage in front of a congregation. He is completely speechless! 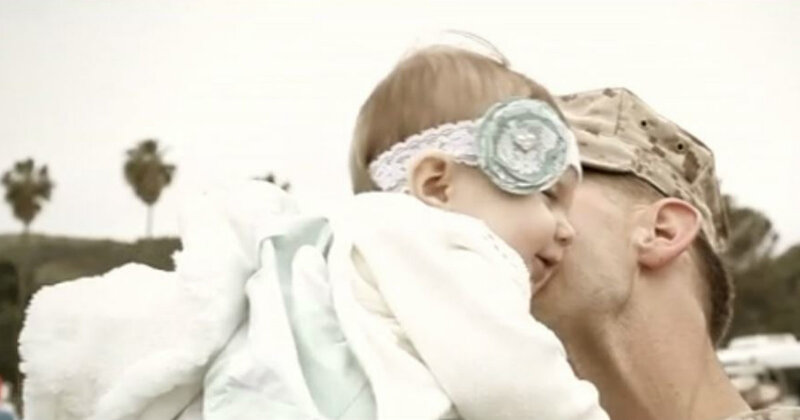 Lieutenant Dan meets his 7-month-old daughter for the first time. He is filled with so much joy! Seeing their little girl grown up and dressed to the 9’s can be such a bitter sweet experience! 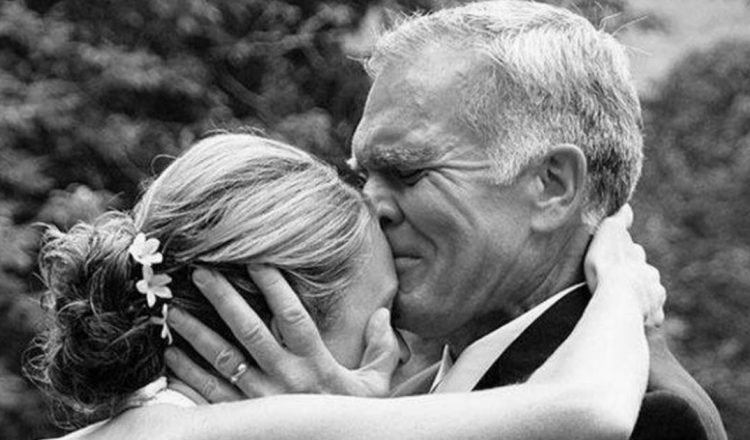 He was so taken back by his beautiful daughter. It was a special moment. The bond between these two is so tight. There is no denying that this is such a special and difficult moment for them both! 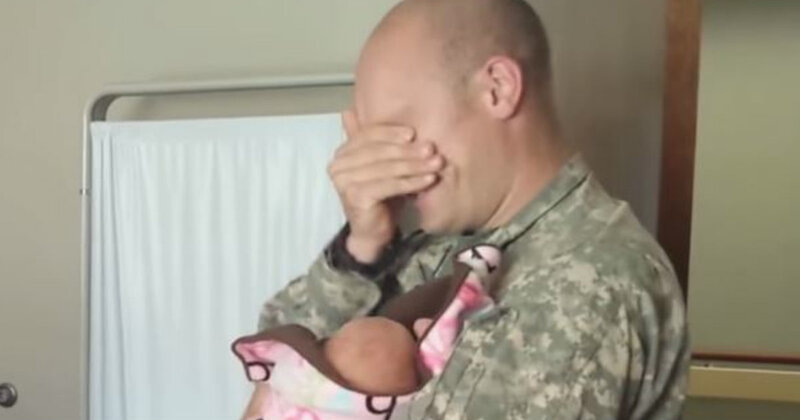 This soldier was super excited to return from deployment to surprise his wife and 1-day old daughter in the hospital. 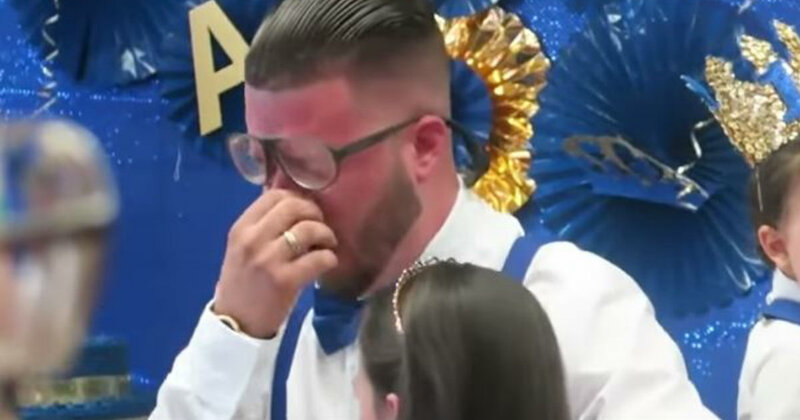 At his birthday party, this dad was in for a huge surprise visit from his daughter. She lives in Cuba, away from him and they have not seen each other in over 10 years. 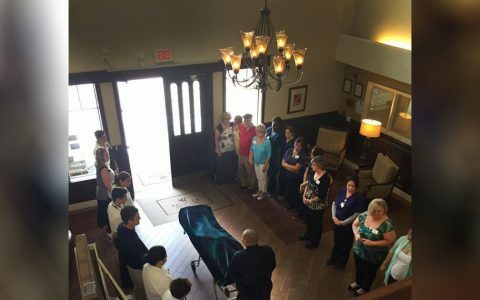 The family planned for her to pop out of a huge gift box. He had no idea she was inside. When he lifted the box, she yelled, “Daddy!” and he completely lost it!